It would be easier to go green if things weren’t so expensive. There’s always this tug of war for me between taking care of the environment, making the best use of my time, and staying on the budget. It won’t always be that way. In two years I’ll be debt free, and part of being able to “live and give like no one else” will be having the financial standing to make some bigger sustainability changes in my life. The fact is that sometimes the “green” option costs more. That won’t always be the case, because more and more people are starting to vote with their wallets. But it’s where we are today. I’m a “people over things” person, and in this season in my life, if I have to choose between cost and sustainability, I’ll choose cost. But the good news is that there are many sustainable options that are the same cost or cheaper than the traditional versions. The best way to change the world is one small choice at a time. To be crazy effective, start with things that require little or no behavior change, and cost the same or less than doing things the old way. Here are 7 easy ways to be a little bit greener on a budget. One of the easiest ways to go a little greener on a budget is to change your printer settings. Why? It’s simple. You make a one-time change, and then you don’t have to think about it anymore. From here on (or until you replace your printer), you’ll automatically save resources and money. First, if your printer has an automatic document feeder that allows you to automatically print double-sided, change the default print settings on your computer to print double-sided always. Second, change the default settings to print as “draft” (uses less ink) and “black and white.” That way, you are only using top print quality and color ink when you actually need it – then you would just change the settings from the application you are printing from. Both of these settings will need to be set for any printer you regularly use, and they can be found in the printer settings on your computer. Some big shared printers allow you to change the default for the printer itself as well. So you’re printing, with those new settings you’re saving ink, but you still eventually will have to replace those cartridges. Take your empty ink cartridges over to one of these retailers, drop it off, and pick it up an hour later, filled with high-quality ink. Trust me – I used to work for the company that sells this service, so I printed with refilled ink every day for almost 6 years. It’s good stuff. Many cartridges can be refilled several times, and each time you refill, you save money (refilling is up to 60% cheaper) and you keep that cartridge out of the landfill. If you don’t want to deal with going in-store to refill your ink cartridges, you can buy refilled/remanufactured cartridges from Inkplicity (also available on Amazon). They are remanufactured or refilled in the US by the same company that does Costco’s refills, so you don’t have to worry about any shady business. Whether you refill in store or buy refilled, you can go greener on a budget by paying LESS for a for more sustainable version of what you had to buy anyways. I’m not against paper books. I have my e-Bible and my tree Bible. Actually, I’m a Bible scholar so I have lots of tree Bibles. But when it makes sense, I try to get the electronic versions of books. Kindle books (or Nook, but I personally use a Kindle) are almost always cheaper than print books. They take up no physical space other than your e-reader (this is a lifesaver for me…there are 500+ titles on my Kindle). If you play your cards right, your Kindle will read them to you. 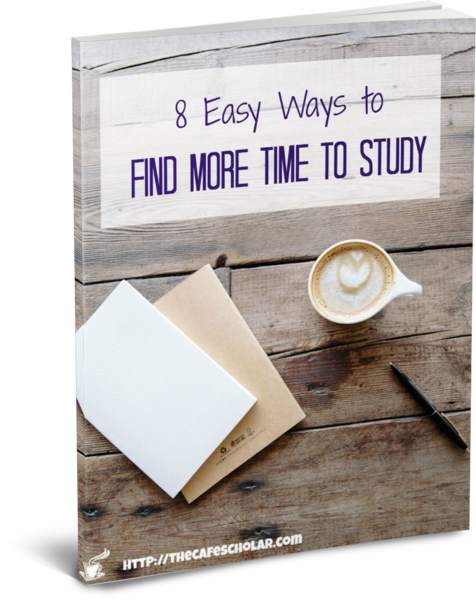 They are easier to carry around…ever been studying and realize you didn’t bring the right book with you? They are searchable. You get them instantly. And…oh, that’s right, we’re talking about going greener on a budget. There’s no physical book, so you’re saving resources with the book itself, the manufacturing process, packaging, and shipping. Some books aren’t available as e-books, and some don’t make sense to use as e-books (like a study guide with fill-ins). And some people don’t like the feel of it. 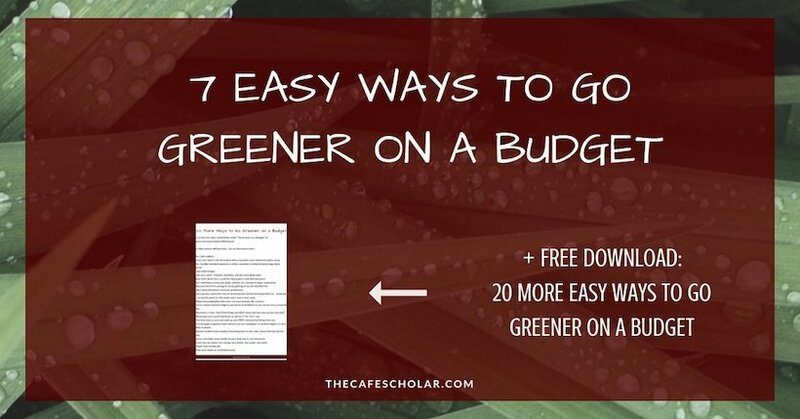 But for many of us, e-books are a great way to go a little greener on a budget. If you’re like me, you go through notebooks like crazy. Oh, no. Not because they are full. Because you start one for this class or that project, use part of it, and then move on. Last year I went through all my notebooks and there were like 20 of them with space. Some with only a page or two used. And then another 20 or so that were brand new, never used. Now I’m on notebook-buying restriction until I have used up what I have. I took some of the nicer new ones and used them for gifts. The partially used ones I put on a shelf and labeled it…you guessed it, “notebooks with space.” Each time I need a new one, I grab one of those. You can make a table of contents (now I try to leave a few pages for a table of contents and number my pages). You can also flip it over and start writing from the back. 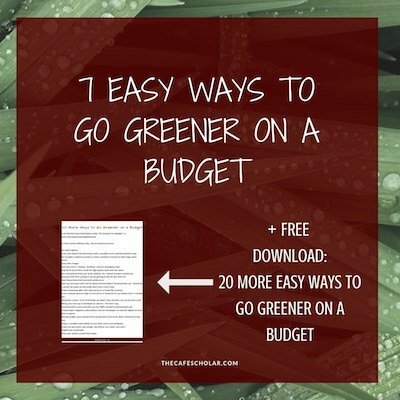 Save a little space, save a little money, go a little greener on a budget. #5 Keep a recycle bin close by. Most of us have recycling pick-up with our regular garbage pickup. But let’s face it…if you have a handful of trash, and the recycle bin is in the other room or you don’t have one at all, 9 times out of 10 that item is going in the regular trash. Keep a recycle bin any place where you are working – especially the kitchen and at your desk. Keep it closer than the trash can. Then, recycling all that paper (and other things) is no more work than throwing out the trash. You don’t need to go out and buy a recycle bin or an extra trash can. You may already have one around your house. I did buy one when I moved. But except in the kitchen, where it might get wet or have food crummies, your recycle bin can be a cardboard box. It just needs to be easy to get to so you don’t have to think about recycling. I like to scribble down thoughts, map things out, and sometimes paper works best for that. But a whiteboard can be a great reusable option. Don’t have a whiteboard, or working on-the-go and can’t bring one with you? Put a sheet of paper inside a plastic sheet protector and use it with a dry erase marker. Instant whiteboard. That’s also really good if you have a template or form you use to work on certain projects. Rather than printing it over and over again, put it in a sheet protector and use a dry erase marker on it. If you need to save your work, take a picture for your Evernote account. BAM. Yes, you read that right. I save energy (good for the environment, good for my electric bill), and then I get paid. Now that’s going greener on a budget. OhmConnect allows you to connect your utility account, and then gives you goals to meet during certain hours to earn points which can be cashed out for gift cards or via Paypal. I’ve cashed out for over more than $50 a few times during the summer months. I usually flip off the circuit breaker so I know I’ll meet my goal, which is why I was writing this blog post in the dark last night. Once my mom came over during an OhmHour, so we had candlelight dinner. I heart adventure. Sign up for OhmConnect with this link to get $10 when your account is connected. 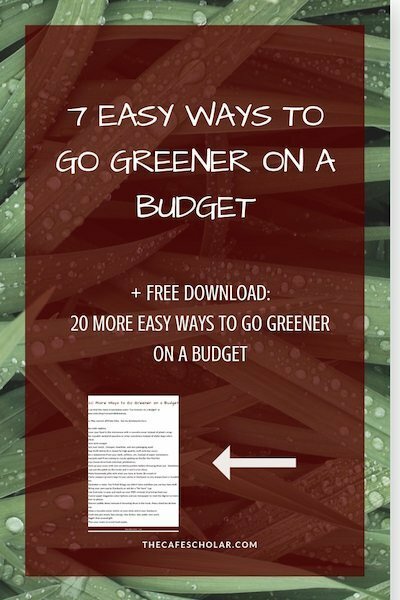 Want even more ways to go greener on a budget? I’ve put together 21 MORE ways in the download below. Enjoy! And make sure to comment below with some of your favorite ways to go greener on a budget! I just finished up the first 6 weeks of my 90 Day Budget Boot Camp…and…Baby Step 1 is DONE! 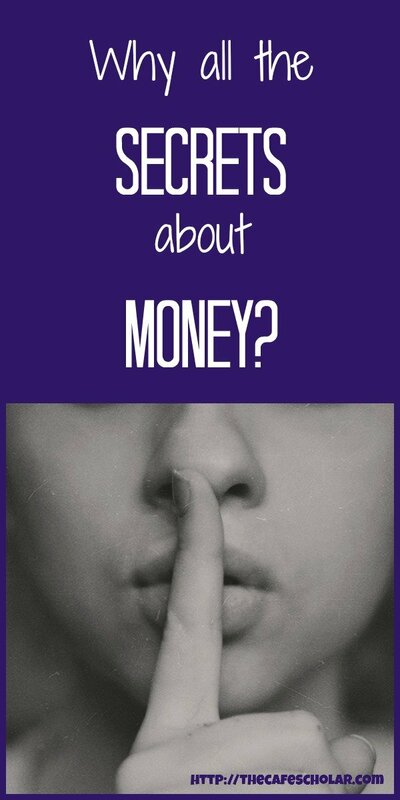 I have got to tell you…this week I had some real fun with money. Yup, fun, with money, and my budget. As you know, I’m going through Dave Ramsey’s Baby Steps from The Total Money Makeover to get my debt paid off as soon as possible. Baby Step 1 was to save $1000 in a “baby emergency fund” as fast as possible, and then Baby Step 2 is the debt snowball. I’m going to be in Baby Step 2 for a looooong time. 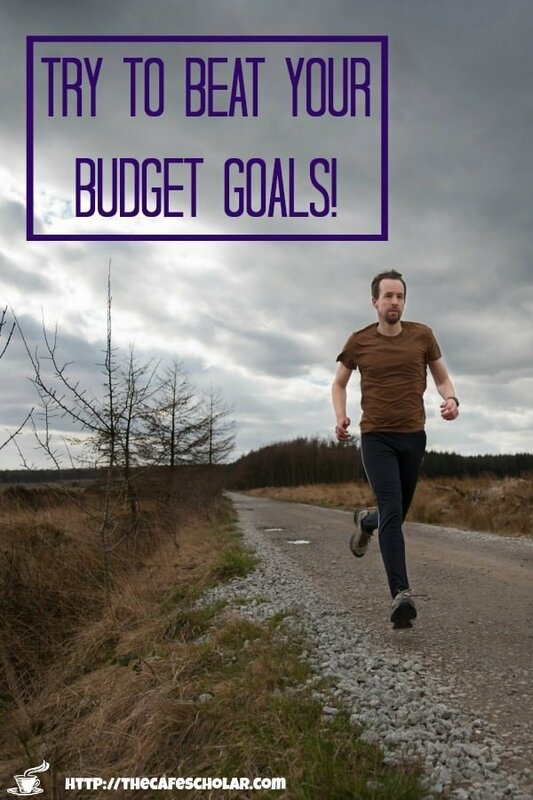 Get on the budget and try to beat it. Follow through with loose ends. 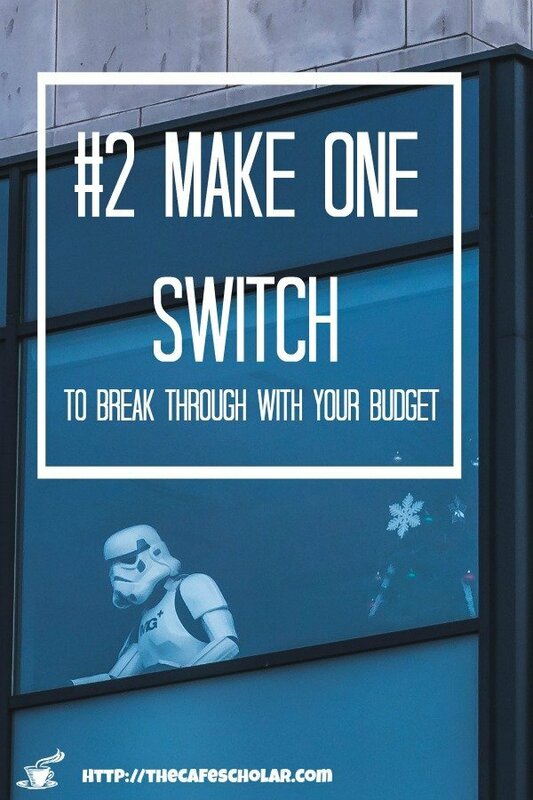 #1 Get on a Budget and Try to Beat It. The written budget is about telling every dollar where it should go, before the month even starts. These 6 weeks got off to a rough start with a lousy out-of-budget purchase that I had a hard time returning, but after that kick-in-the-pants I was so motivated to not be manipulated like that again! I cut up my credit cards (on Facebook Live!) and I made a new goal: to basically race against myself and BEAT the budget. I was determined to spend less than budgeted in any and every category possible. For example, I had budgeted for food, but then I quit spending money on food entirely. I stopped eating out, got more consistent about making lunches, kept my cubical at work stocked with some lunch options just in case. After October 7, the only eating out I have done has been on gift cards. And let me tell you, a free Chick-fil-a sandwich tastes so much better when you haven’t eaten out in weeks! Seriously, when you stop eating out it feels like you are making more money. And avoiding spending money even on groceries forces you to be more creative and use what you have left in the house. I did a one-month spending freeze in college, and I ate the most interesting foods imaginable! Who knew you had that much food sitting in your house? 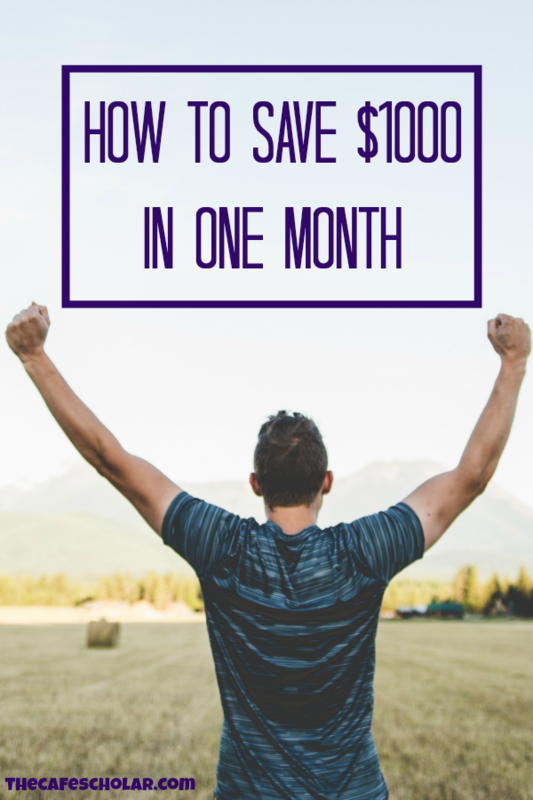 If you can be creative with your expenses in Baby Step 1, you will be able to save that $1000 super fast and you will get excited for the next step. In other areas, I tried to wait until November to make a purchase that was necessary but not “a fire,” so I could reach that Baby Step 1 goal first. Use gift cards and points you already have to cover things you need or want to buy, so you can put that cash into your emergency fund instead. Sell books or other items on Amazon or Ebay. When you think you need to buy something, see if you can borrow that tool (or dress!) from a friend, wait until next month, or use something else you might already have at home. Some of these you will make a decent price on, but even if you don’t, every penny counts. It’s not that a few dollars are going to make the difference. It is that your attitude towards spending or saving those few dollars makes the difference. Something about being ALL IN with the little stuff helps you to be ALL IN with the big stuff. I didn’t succeed 100% in the race against myself – I had to replace a tire on my car which my “auto” fund didn’t cover, BUT it felt so good to cash-flow that replacement. I didn’t even have to break into my brand new emergency fund! I turned in receipts that I had been holding onto from work and church and my flexible spending account, followed up on reimbursements and refunds that I hadn’t received, and set reminders in Producteev for each one until it was done. The biggest one was my rental car reimbursement from this summer’s car accident…I realized I had never received the check! It took some follow through, but I am finally in the clear on that one. By the time the rental car reimbursement came through, I had saved my $1000 and was able to apply that to the next goal. 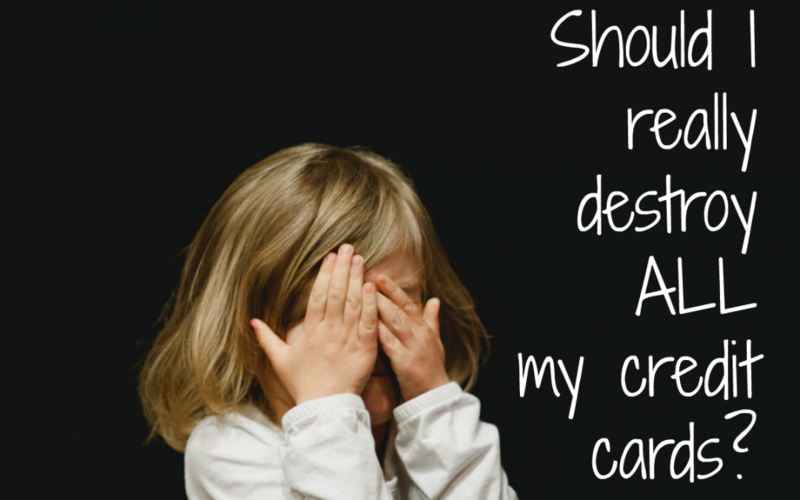 About 20% of my Baby Step 1 Emergency Fund came from reimbursements and refunds. Part of Baby Step 1 is getting that emergency fund together, but part of it is getting motivated and laying the foundation for the rest of the journey. That came with some touch choices. I was a member of 3 academic scholarly organizations, all of which were up for renewal this month. I made the choice to not renew until I am debt free. The tougher decision was with sponsorships though. I sponsored a few kids through organizations like Compassion International. This is a wonderful ministry, but I realized that donating above my tithe while I’m this far in debt would be giving away money that I don’t have; it would be like borrowing to give. But, I know that when I’m debt free, I can support as many kids as I want! For you, it might be something different – a phone plan or other service that is hitting you month after month. Whatever that thing is, make the tough choice to set it to the side for now so that you can really enjoy that thing later. Every activity, product, or service that I turned down (and even the alumni fundraiser phone calls I received!) I used as an opportunity to share about my debt-free goals. It helped me to remember the goal. Check out more ways to reach that first $1000 from DaveRamsey.com. The Result? Baby Step 1 Done, and on to Baby Step 2! Having that goal of trying to beat the budget made this process really fun. If I got a check, I didn’t even deposit it into my regular checking account; it went straight into the emergency savings fund and I watched those numbers go up. 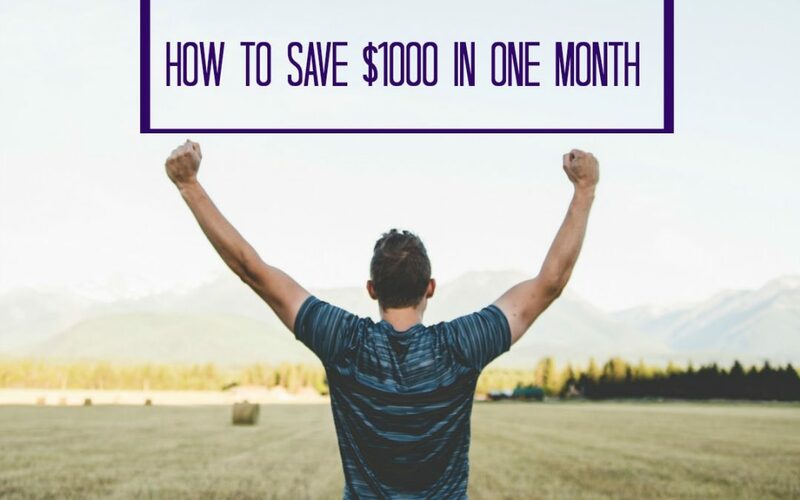 The best part: yes, I met my first goal to save up $1000 in the first month, but at the same time, I was able to pay off $2500 in debt in that first 6 weeks. I paid the minimums on everything until I had finished the emergency fund, and then at the end of the month, everything left over got thrown at the debt. I cannot tell you how exhilarating it was to pay some of those bills and know that I would never ever have to pay that bill again. And here’s the thing…this is what I have learned the last 6 weeks. It’s not just about the math of how much money you save or you spend. When you make decision after to decision to honor God with your money, when you make the hard choices, money seems to turn up where you don’t expect it, like the receipt from work that I had forgotten to expense, or cash in a jacket pocket. 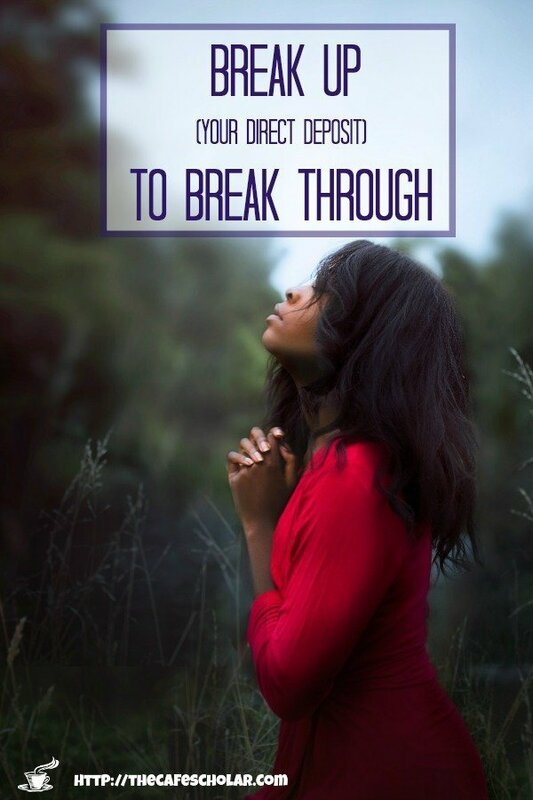 God honors you and equips you to knock out those goals. “Whoever can be trusted with little can also be trusted with much.” Can you feel the smile? Now, to start hanging out in Baby Step 2. Time to destroy the debt! Me and Jesus, we got this! What about you? 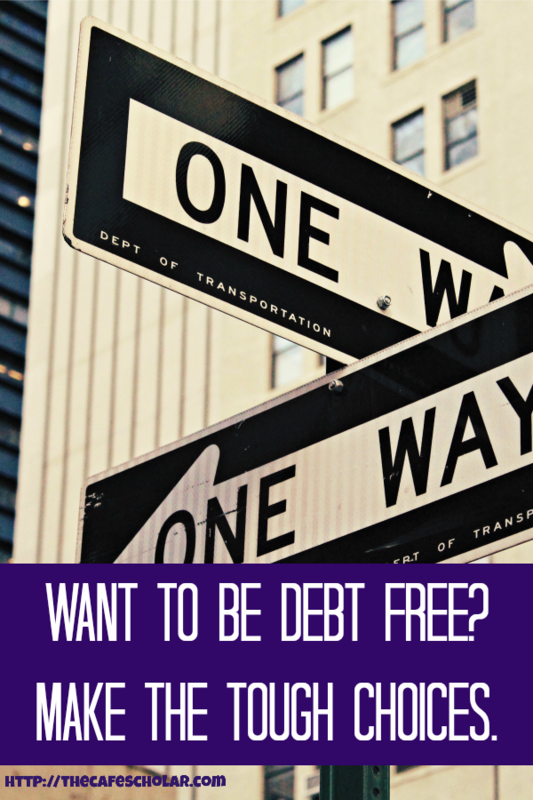 Do you have a big or small victory in your journey to be debt free? 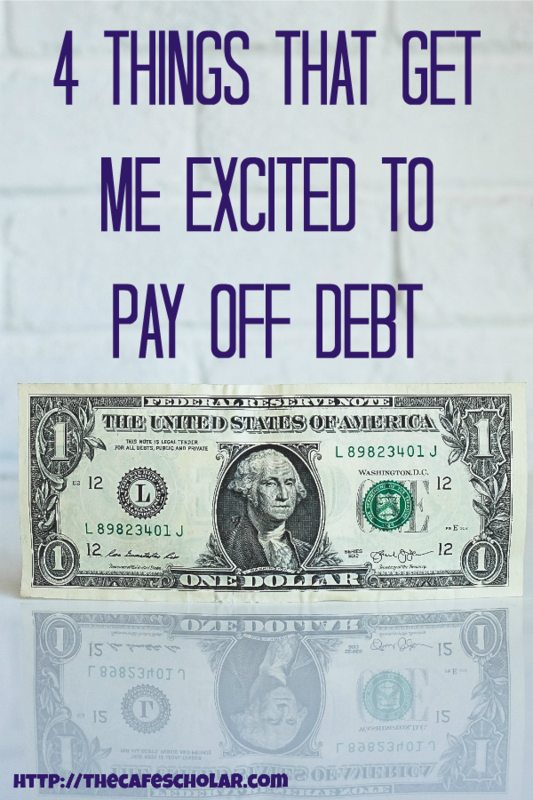 This post is the third in a series following my journey to pay off debt, especially the process of paying off student loans. 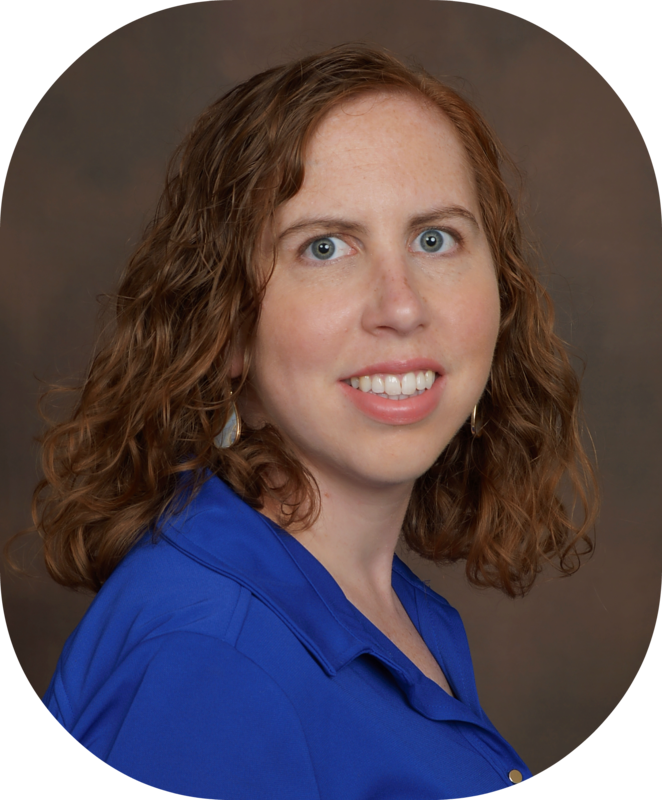 Why talk about debt and money on a college blog? Simple. I can’t blog about college and grad school and not blog about money. Money issues are the #1 cause of college stress! If you missed the beginning of the series, be sure to check out my post introducing this money challenge and last week’s post about setting a budget that works. I just wrapped up week 3 of the 90 Day Budget Boot Camp. 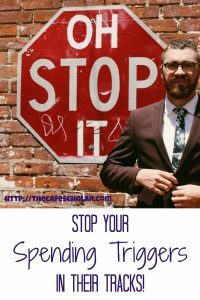 This week’s challenge was to plan ahead…to defeat your triggers. What are the events or situations that trigger you to spend money and break the budget? Is there a particular situation where you tend to spend? For me, my trigger is a failure to plan for lunch. To stay on budget, I need to pack my lunch each day and not eat out. I can eat out when I don’t have debt! 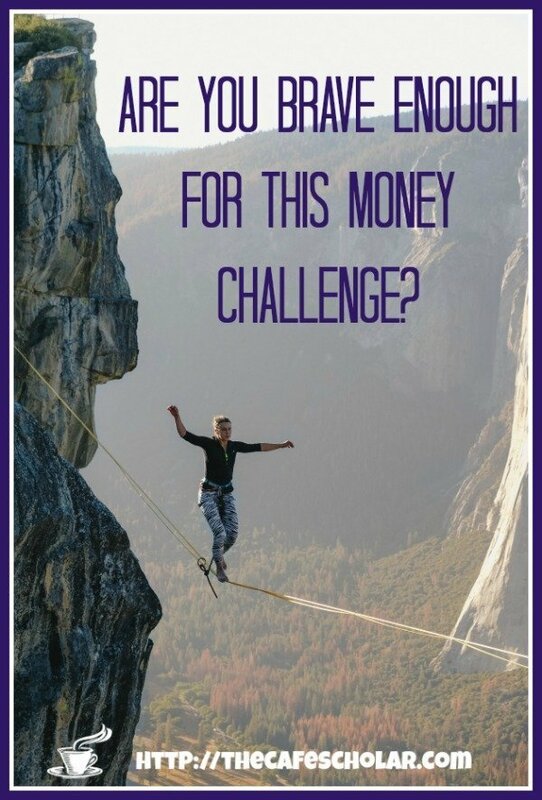 Yes, I’m going extreme here, because I extremely want to be debt free! But packing a lunch requires planning and follow through. I really need to do it the night before, but sometimes that doesn’t happen, so I end up eating out. Eating out works against both my financial fitness goals and my physical fitness goals right now. When I pack a lunch, I tend to eat healthier and have better portion control, and if I eat out, I don’t have time to go on a walk at lunchtime. The idea of planning for the trigger is to reduce the number of situations where I’ll have to have super willpower. Can I remove the trigger or take the steam out of it, or take the choice out of it? In my case, I stocked my desk at work with nonperishable lunch and snack options. If I forget to bring a lunch, I have choices right there so I don’t have to eat out and spend money. can keep up the momentum and remember why you are making the hard choices. The WHY will get you through this. 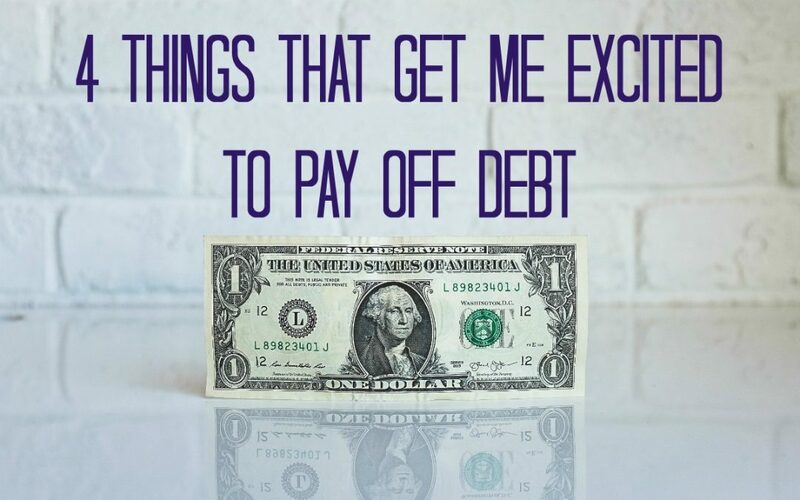 Here are four things that get me excited to stay on budget and pay off debt. 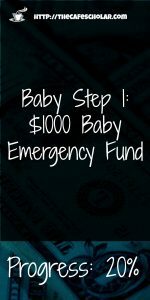 Baby step 1 is to build a $1000 “baby” emergency fund as fast as you can. 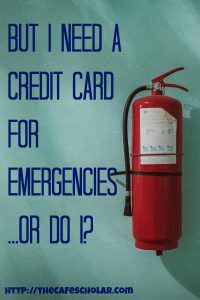 The idea is that if debt (credit cards) is your plan for dealing with emergencies, you will never get out of debt. 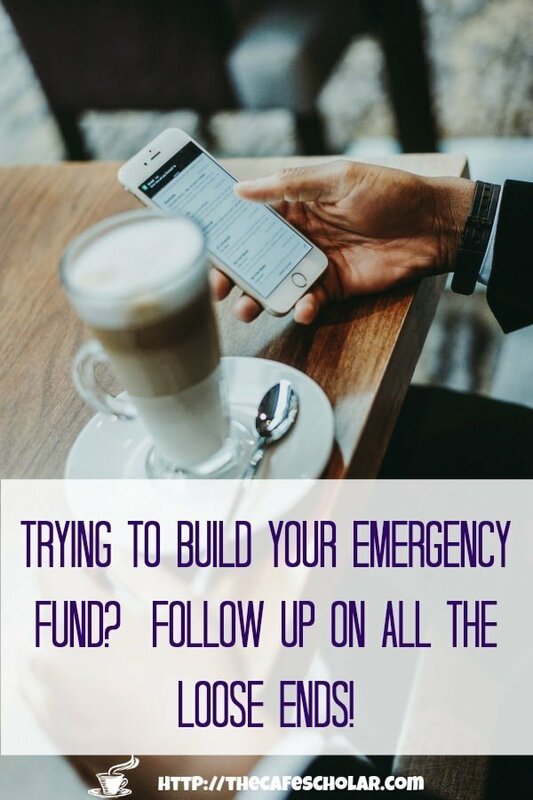 So while you’ll build a more robust emergency fund later, before you even start to aggressively pay off debt, you need a small emergency fund so that your emergencies don’t make you go back on your goal. I had a decent emergency fund before my car accident a few months ago, but hadn’t rebuilt it yet, so that’s my focus for the next few weeks. As of right now, I have 20% of that goal complete, and I’m on track to be there by the end of the month. I get super motivated by the stories from Dave’s book about how Murphy didn’t seem to come around so often once people had that emergency fund. If you’re ready to get motivated – and get a great strategy – to get your finances on track, I really recommend Dave’s book. I read it in a weekend, haha. It was super uncomfortable to write my first post about my journey to pay off debt, and how far I have to go. But since I started blogging about my budget challenge and debt repayment journey, I am super excited to tackle the challenge each week! I talk about it all the time, not even just online. My coworkers, my banker, and even the hotel concierge from this weekend’s work trip know what I’m all about. 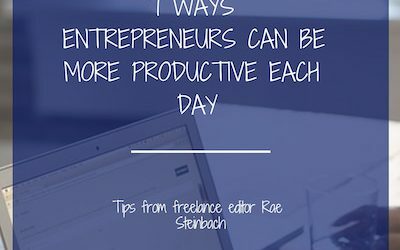 It helps me get excited, and it also helps me stay accountable. I don’t want to mess up, because people know. I’m not going to beat myself up when I stumble – this group is also a great cheering section! – but the accountability definitely helps! If you want to stay motivated, don’t hide your mess from the world. Instead, share your journey. When you are open about it, you feel so much lighter, you stay accountable, you have a cheering section, and you might even motivate someone else to take the plunge and get on a budget. Your story doesn’t have to be finished to help someone. Share your journey to pay off debt on a blog, on social media, or even with your group of friends. 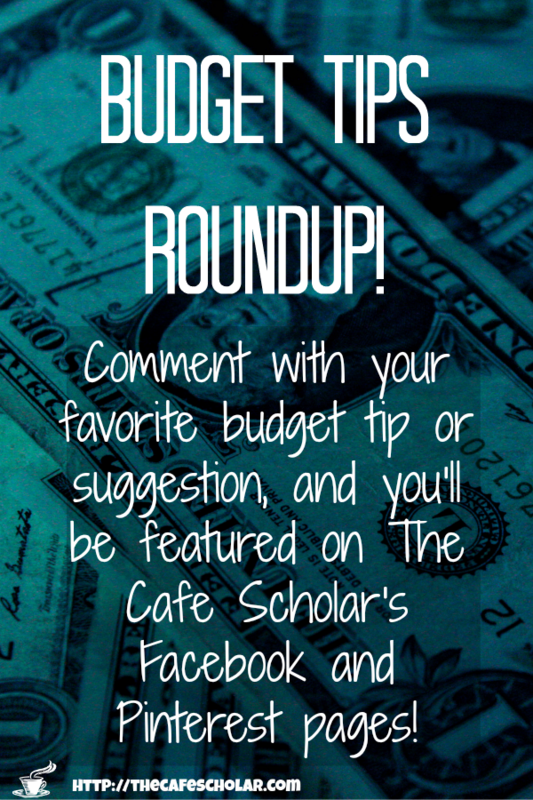 And if you have a great budget tip, share that too! 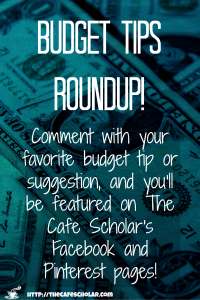 Leave a comment with your best budget tip on my post about breakthrough budgets, be sure to include your Facebook page, and I will share it to The Cafe Scholar’s Facebook and Pinterest accounts! I’m not the most visual of people, personally, but it really helps to visualize your goal. 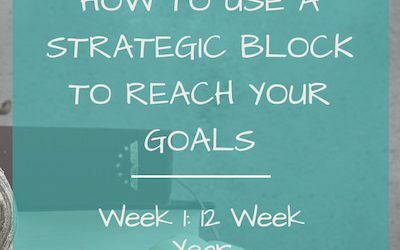 This post from The Cultivated Nest has some great ideas for creating visual reminders of your goal. Try to come up with a visual in a place you will see often: your bathroom mirror, cell phone, screen saver, on your wall, or even taped to your debit card! There are lots of free templates to create your own debt thermometer to fill in as you pay off debt. Or borrow an idea from the weight loss community. I once saw an episode of Extreme Weight Loss where Chris had the athlete-to-be move beans from one jar to another every time she lost weight. 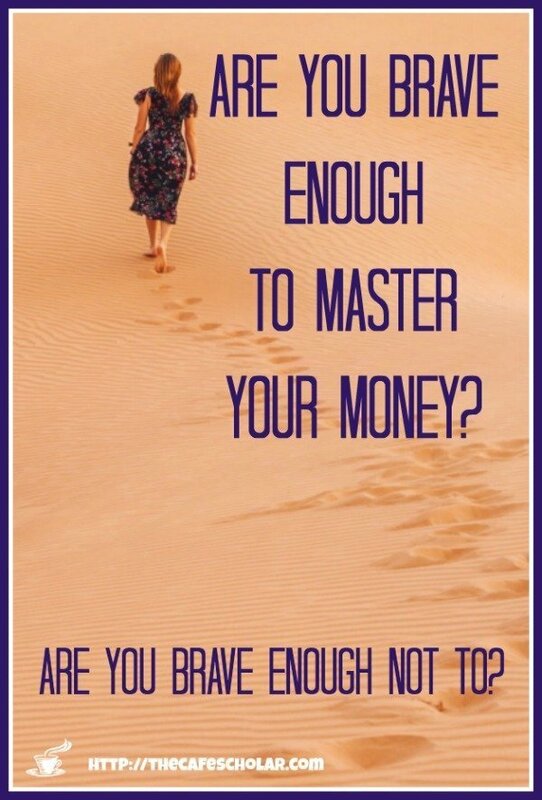 You could do the same as you pay off debt. If your goal is really big, try creating a visual for the smaller goals too, so you have something to celebrate early on. Since I’m on Baby Step 1, I created a visual for my “baby” emergency fund savings, which I will update each week until that goal is destroyed! The debt-free screams, that is! I was recently introduced to The Dave Ramsey Show by my friend Julie (who is an amazing voice teacher, by the way!). 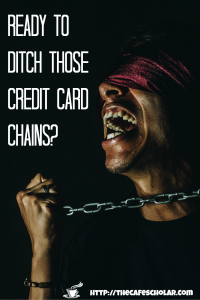 I listen to the podcast on my commute, and my favorite part is hearing people who come on the show to do their debt-free screams. These are people just like you and me. People from all walks of life, levels of income, family situations successfully pay of debt and live to tell the story. People that just decided to be different. 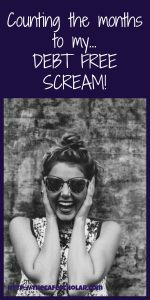 I love hearing about their journeys to independence, and that sheer joy when they scream “we’re debt free!” Each time, I imagine my own debt-free scream and I am super motivated to get this business done. Now it’s your turn. 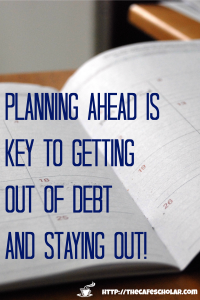 What is one of your favorite ways to stay motivated towards your financial goals? Woohoo! I finished Week 2 of the 90 Day Budget Boot Camp! And I got that mistake purchase from last week returned…sort of. 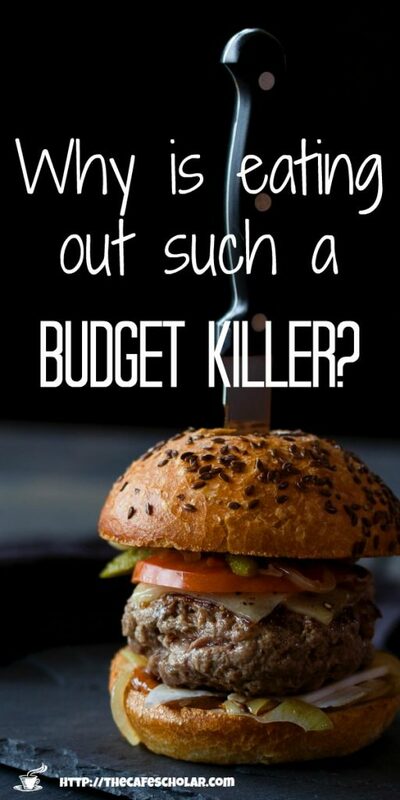 The tough part about keeping to a budget that works is following through. That was so frustrating. This place was out of my way, and it was frustrating, and a different Joy might have decided to keep the product, but the money I got back was worth the hassle. Following through is one of the toughest things about managing your money, whether it is following through to get a refund, cancel a service, or correct an error on your bank statement! This week’s challenge was a doozy. We were tasked with creating a new budget – a budget that works! – accounting for income, planned savings, bills, groceries, other expenses, and even fun stuff. Thankfully the workbook breaks it down step by step, so you complete each task and check the box. You don’t have to finish it all in one sitting! Here are 3 simple steps I implemented during this week’s challenge. Stick around to the end to offer YOUR favorite tips budget tips which will be featured on my blog’s Facebook and Pinterest pages! 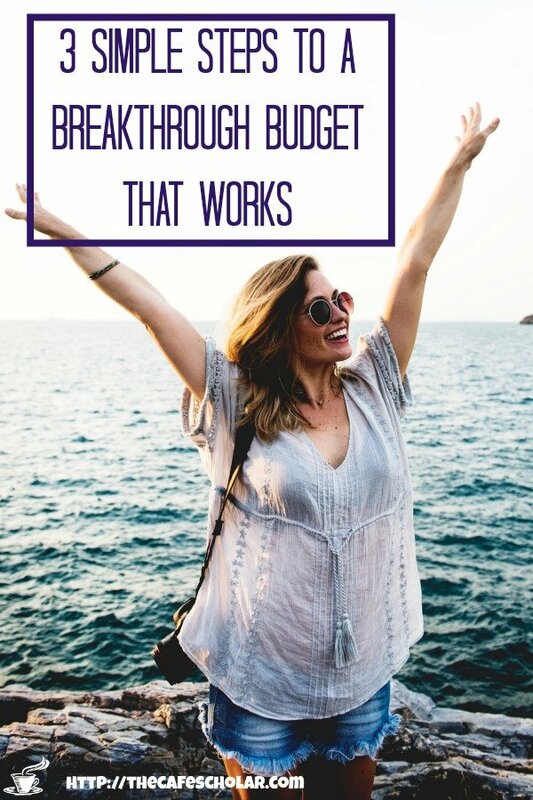 This post is part of an ongoing series about my journey through the 90 Day Budget Boot Camp Workbook and my mission to pay off my debt. 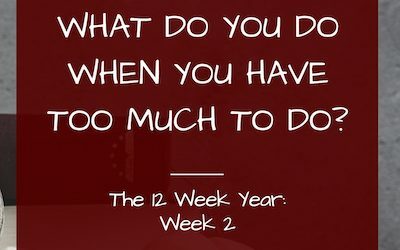 If you missed it, you can read about Week 1 and the money challenge here. Calculate what you need from each paycheck to cover your bills and living expenses, with a little buffer but not too much. Then, split your direct deposit so that the money you need for your regular expenses goes to your regular checking account, and the money you need for your goal goes to your new account. As you know, my Big Important Goal is to pay off debt…lots of it. I opened up a new checking account (with a $200 bonus, yay!) at a different bank. I calculated how much cash I would need from each paycheck to cover my non-debt bills and living expenses, with a little buffer. Then I went to my HR department and changed my direct deposit, so that my set amount for expenses goes to my regular checking account, and the balance of my paycheck automatically deposits to my debt payoff account. Then I changed the Autopay for all of my debt-related bills to pull from that new account. Breaking up my direct deposit is really going to help create a budget that works. Since the new account is completely separate, I won’t be spending that money elsewhere, and I know at the end of the month that any money left in that account can go straight to an extra debt payment. 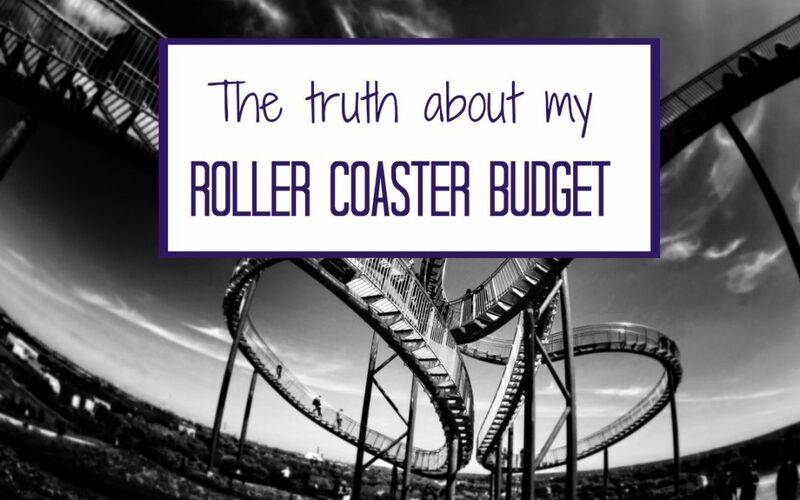 Budgets that don’t work often fail because of roller coaster budgeting. We try to take on too much at once, go “all in,” and then crash and burn. A budget that works goes “all in” by making slow, sustainable, changes, and then be consistent with those changes. One of the steps from the 90 Day Budget Boot Camp Workbook this week was to choose one thing – just one, for now – to reduce or substitute. You don’t have to change everything at once. 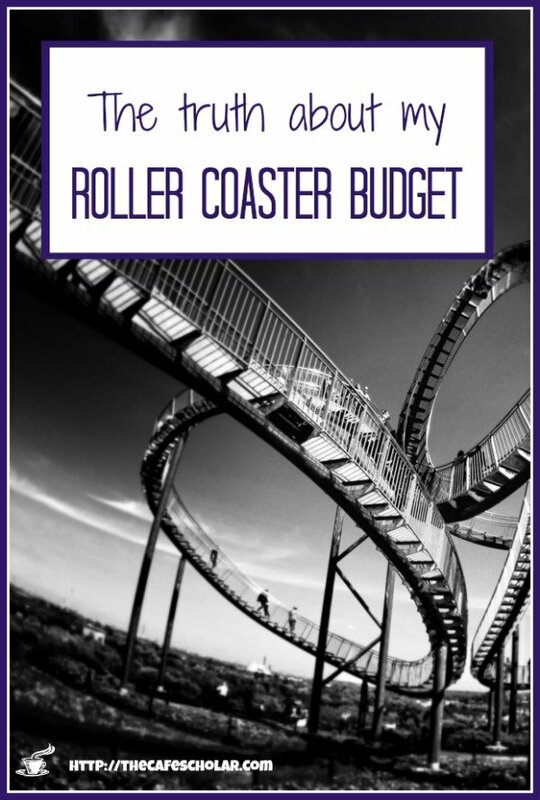 That’s the roller coaster budget way. Instead, look for the low hanging fruit: a bill or expense you have every month that you can cut back on. In fact, you may not even notice the cut back if you do it right. Another way to do this is to look for a monthly expense that goes to something you don’t actually use. Sometimes, we sign up for a free one month trial…and then forget to cancel before the month is up. Or, maybe you signed up thinking you would use something much more than you do. 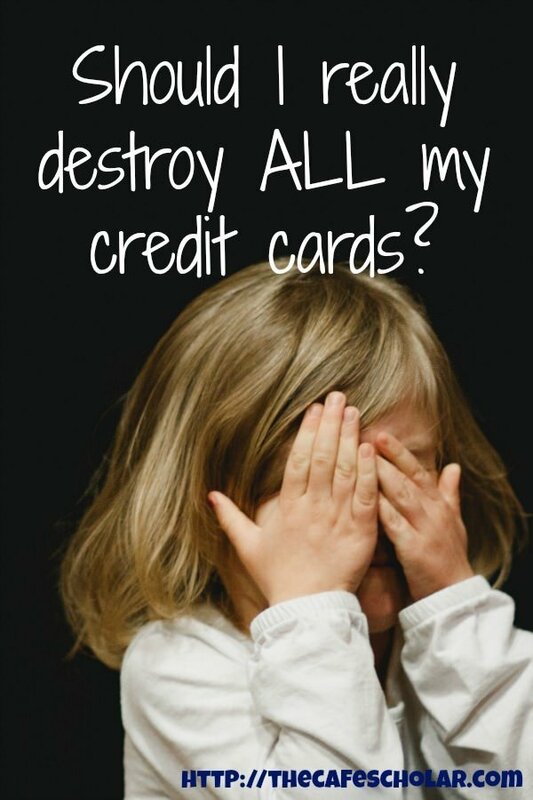 Check your debit or credit card statement and look for a recurring charge for something you no longer use. If you don’t use it, cutting that subscription is a really easy way to create some more space in your budget. In this week’s challenge, the 90 Budget Boot Camp had me create funds (I call them “buckets”) for infrequent purchases or expenses. These could be anything from car registration to clothing to gifts to vacations. Many banks have unlimited free savings accounts that are easy to set up and transfer to online. I now have separate savings accounts for clothing, grad school, auto, as well as the emergency fund I had already created. I’m not ready to start contributing to all of these quite yet, so I picked two to set a small automatic deposit each month. I know that when it comes time to renew my car insurance next year, I will pay less because I’ll have the money set aside to pay it all at once instead of monthly payments. And I also know that I won’t go out and buy clothes until I’ve set some cash aside in that special account. Open as many accounts as you need; that way what you see in your checking account is actually what you have available to spend, and you can easily see your progress towards each goal. 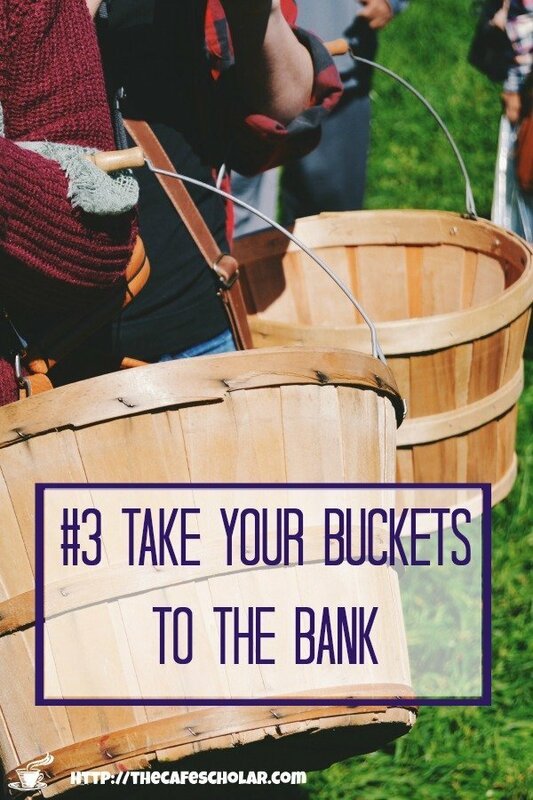 These “buckets” or funds help you create a budget that works because the cash you are trying to save (the cash that you will need later!) won’t be sitting in your checking account begging to be spent. Instead, you’ll know exactly what you have for each purpose. Another way to create buckets for a budget that works, for some expenses at least, is to buy gift cards. I bought a month’s worth of gas cards so that I know that money is already set aside. Since my checking account gets a little tight on this debt payoff mission, I wanted to make sure that expense was covered in advance. I also do this with Starbucks gift cards. As you know, we Cafe Scholars get our best work done at cafes, but if you are not careful, that cost can add up quickly. I set a Starbucks budget and buy gift cards for that amount. When they’re gone, they’re gone. 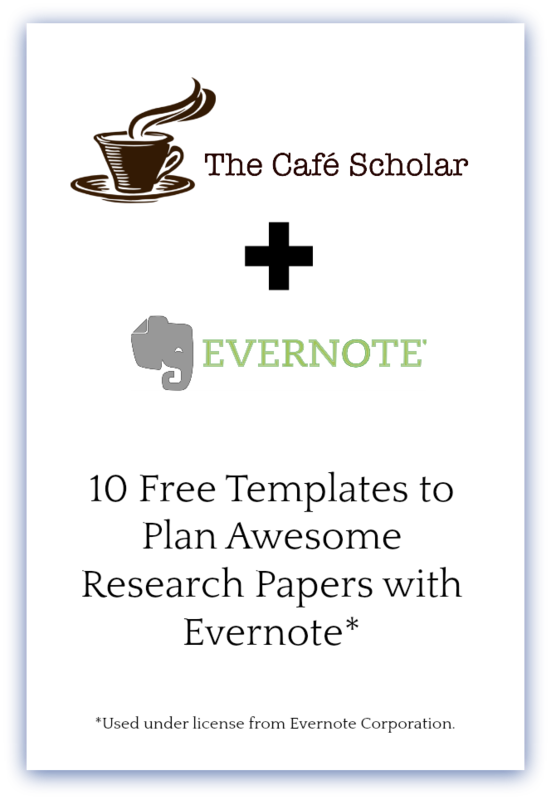 (I have more tips on how to be a Cafe Scholar on a Budget here). Now it’s your turn. 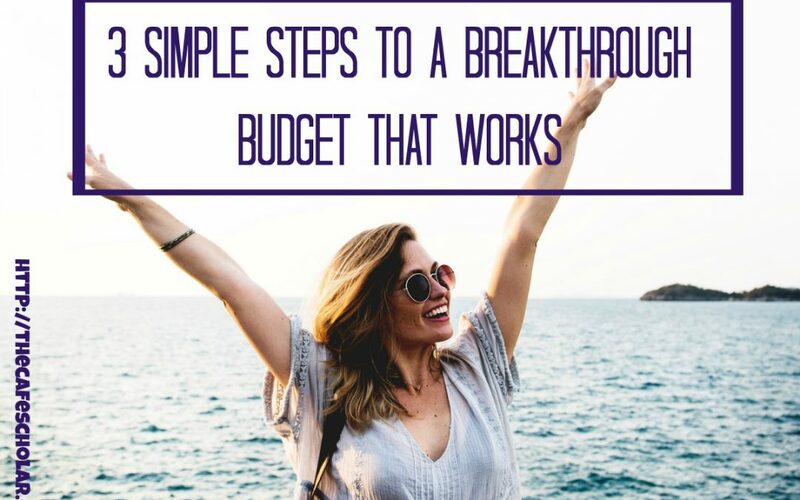 What 3 steps would you recommend for a practical budget that works? Comment below and let us know. I’ll be featuring commenters on my blog’s Facebook and Pinterest pages, so be sure to include your social profiles so I can tag you! Copy the code that comes up where it says “Get Code Here”and add that to the end of your post in the HTML section. You will then see the blog hop on your own site too!